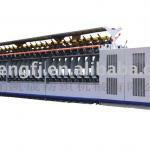 High speed braiding machine is an equipment with high exactitude,high efficiency,low wastage and low noises,which absorbs foreign various advanced technique and combines with the present technical level in our country. 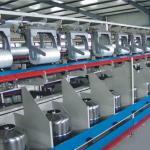 It is applied to producing a variety of rope ribbons,shoestrings,flex,decorative ribbons and tensile. 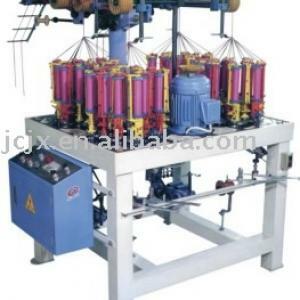 Adopt the advanced way of frequency conversion regulation and control,apt to control rotational speed,and in the braiding spindle qualify for the next round of competitions some office device hang industry of entering etc.Replace the punching type operation with porcelain eyes(alumina),operate simple and easily when changing the line.The applicable raw materials are also very wide.It is difficute to break when weaving,and not to fray the raw materials surface,after weaving,there is higher quality naturally,if there are products of warp-heart,can use material shelf automatically,nomatter what size is the warp-heart can becorrect deliveried dosage.When yun out of the warp-heart or break the line,the machine will stop turning round autokmatically.So under the unattended situation,that is also very comfortable for the machine running,in order to increase the output and lower costs. 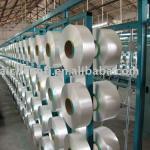 The applicable raw materials are very wide,it is suitable for wool,chemical fiber,PP yarn,wire,etc.It is applied to producing a variety of columned belts,flat belts,curtain ribbons,silk ribbons,decorativeribbons and the other spandex and non-spandex ribbons. 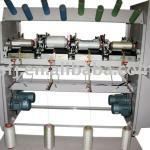 SGD-268 A/B Computerized digital yarn cone winder used for rewinding yarn to cone with/without individual motor drived. 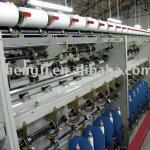 TCY521 High-speed Silk Winder is the fore equipment of fibre two-for-one twister, fancy twister and lapping yarn machine. CY128 is applied to cotton yarn, woolen yarn, acrylic yarn and other blended yarns. 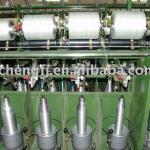 CY208 is applied to cotton yarn, woolen yarn, acrylic yarn and other blended yarns. CY250C Large Package Two-for-one Twister is adapt to yarns in the high and medium twist range. 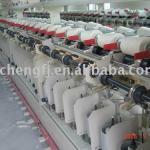 AGEN280 Air covering machine is widely used for making covering yarns with DTY,Polyestery,Nylon and spandex. 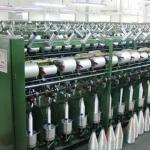 45~1000D kinds of single or multiplied yarns can be twisted by CY250B Large Package Two-for-one Twister. 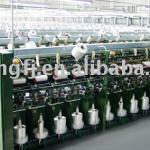 45~1000D kinds of single or multiplied yarns can be twisted(such as DTY, POY, HOY, FDY, viscose rayon and so on). 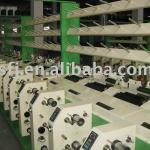 We offer all the spare parts for thread winding machine. 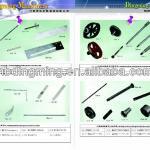 Spare parts of excellent quality. Spare parts of different kinds.